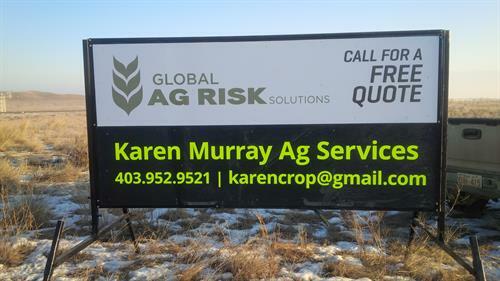 Karen Murray Ag Services Ltd. I have been a part of the ag world for my entire life, I live on my husbands family farm where we raise our two children. KMAS started when I left a job in private ag retail to start our family. I now have several ventures and serve farms and ranches across southern Alberta and SW Saskatchewan. 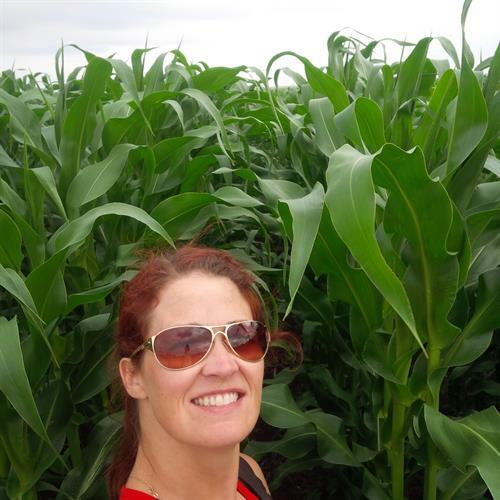 I am a licensed insurance advisor for Global Ag Risk Solutions. A private production cost insurance company based out of Moose Jaw, SK. In that role I work one on one with farmers to assess their insurance needs and match up an appropriate insurance package. While explaining how GARS can work to improve and stabilize their own operations financial situation. 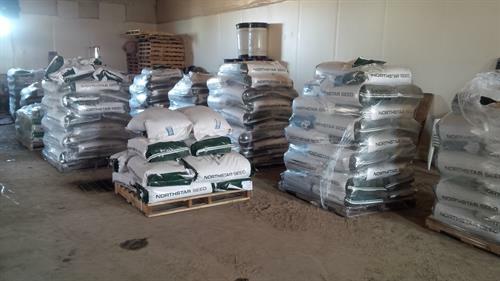 I also sell forage, corn and soybean seed, I have the knowledge to listen to ranchers needs and create unique blends for each location and requirement. 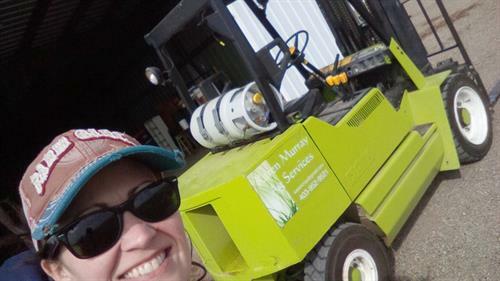 My background and education is in agronomy, which I put to work on our home farm, and I contract out to do weekly irrigation management checks. I am the local dealer for Bio-Sul, a unique, sustainable elemental sulphur product available from Bio-cycle Solutions.